Kicking Off Summer with PCT! Safely dispose of your documents and electronics at our Free Shred Day & Electronics Recycling event! 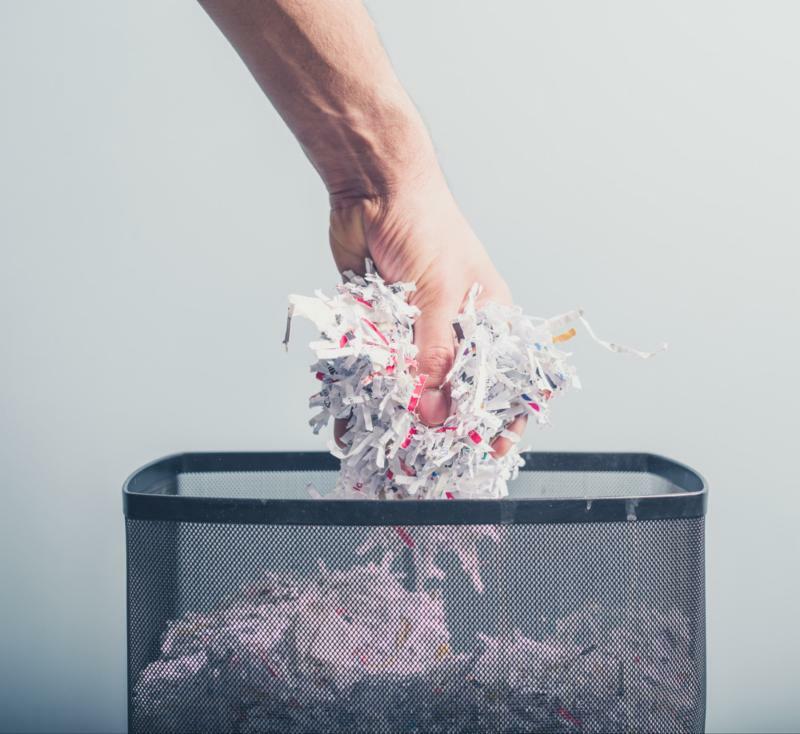 Join us on Saturday, June 9 th from 9 AM – 12 PM at our Main Office on 2203 Cranberry Highway in West Wareham for shredding and electronics recycling services. TVs will cost $20 per item and Monitors will cost $25 per item, cash only. Additionally, help us give back to the community by bringing a canned good or non-perishable food item to donate to our Food Drive! We hope to see you on Saturday, June 9 th . Don’t wait! Make that fantasy vacation or honeymoon happen this year! 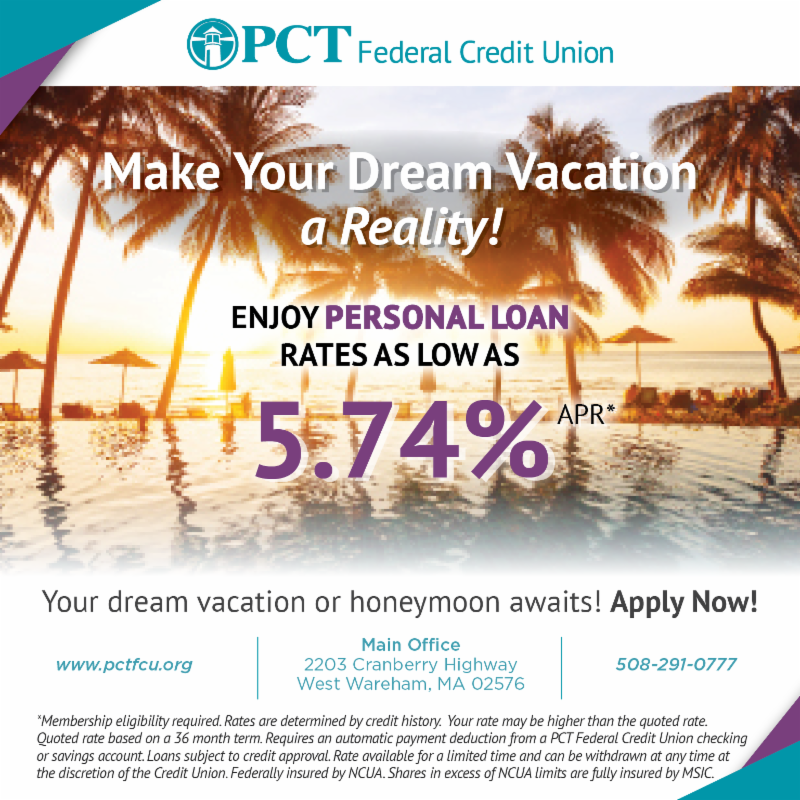 Enjoy rates as low as 5.74% APR* when you apply for a Personal Loan. Your dream vacation or honeymoon awaits – apply now! *Membership eligibility required. Rates are determined by credit history. Your rate may be higher than the quoted rate. Quoted rate based on a 36 month term. Requires an automatic payment deduction from a PCT Federal Credit Union checking or savings account. Loans subject to credit approval. Rate available for a limited time and can be withdrawn at any time at the discretion of the Credit Union. Federally insured by NCUA. Shares in excess of NCUA limits are fully insured by MSIC. Announcing the 2018 Scholarship Winners! 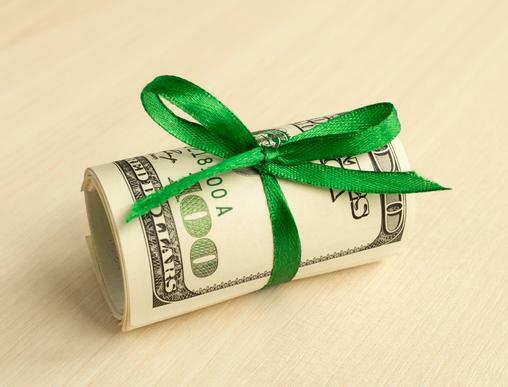 For the 32 nd year, PCT Federal Credit Union is pleased to award scholarships to local high school students. This year, the credit union will award $4300 in memory of Mr. William J. Spratt and Mr. Otis Severance, who both served as founding fathers of the credit union. In addition, the Severance Scholarship was founded in 2008 to recognize a local Wareham resident. 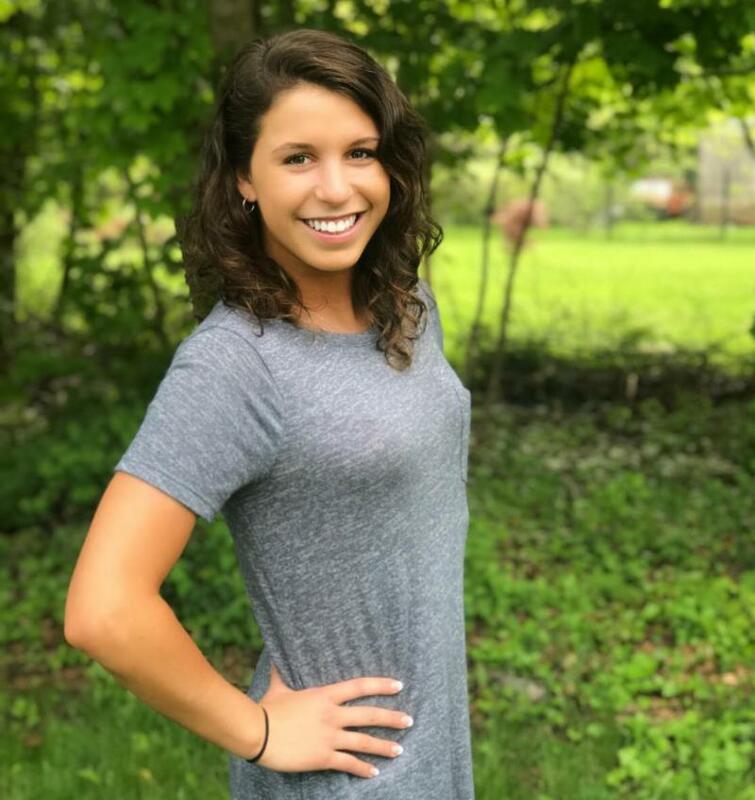 The Scholarship Committee is pleased to announce that the 2018 first place recipient of The William Spratt Scholarship in the amount of $1500 is Ms. Olivia Condon of Wareham, MA who attends Archbishop Williams High School. Olivia is set to attend Simmons College in Boston this fall and intends to major in Nursing. Congratulations, Olivia! Gabrielle Lefrancois of Wareham, MA - $800 Severance Scholarship. Benjamin Amado of Whitman-Hanson Regional High School - $500. Alexandra Coffin of Plymouth North High School - $500. Olivia Kelliher of Rising Tide Charter School - $500. Samantha Santos of Carver Middle/High School - $500. The Scholarship Committee wishes to thank all the students that took the time to apply. Congratulations to all of the scholarship winners! As a valued member of PCT Federal Credit Union, you can participate in our Skip-A-Payment program. This means that you may skip one payment during a 12-month period on your credit union loan. Also, if you have more than one loan, you can skip a payment on each one! If you’re interested in taking advantage of this program, simply apply online by logging into your Online Banking, clicking the loan for which you want to skip a payment, and clicking the Skip a Payment button to enter the requested information. Or simply download the PDF through the button below, fill out the appropriate information and either mail, fax or bring it to the credit union. Take charge of your budget by applying for the Skip-A-Payment program today! Happy birthday to 3 of our awesome employees this month! Happy birthday to our HR Administrator Mary Coffin on June 14 th , our Lending Specialist Savannah Pacheco on June 19 th & our wonderful CEO Glenna Hardman on June 28 th . We hope you all have amazing birthdays!